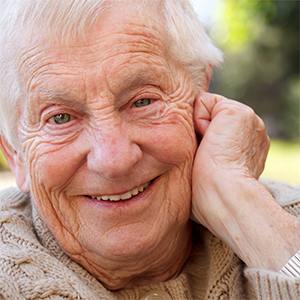 At Retire-At-Home Services, we want to provide high quality personalized care that addresses both the emotional and physical health of our clients. To this end, we have partnered with Fit Minds® cognitive stimulation therapy (CST) to offer an innovative approach to brain fitness. Popularity of CST in recent years has increased, and many computer-based programs have emerged, however, research to support efficacy of computer-based programs has been lacking. Fit Minds® brings CST through human interaction, in one-on-one sessions. The Interact® Individual program is a customized and personalized cognitive stimulation therapy program for people with dementia. Customized sessions respond to the individual’s interests and abilities, as well as cognitive ability and they progress through the program. With the Interact® Individual program, each session’s activities are printed on paper. This program is delivered by a certified Fit Minds® Cognitive Coach. As stated above, evidence to support efficacy of computer-based cognitive stimulation is lacking. Therefore, Fit Minds® takes the innovative approach of human to human interaction. Our certified Fit Minds® Cognitive Coach comes to your loved one, and sits with them for the whole session. During the session, our coach converses with your loved one, and leads them through word games and puzzles in a warm interactive manner. Studies have shown that regular use of one-on-one CST results in higher levels of mental activity, remarkably improved memory, better comprehension of phrases and sentences, and orientation to time and place. Results of other studies showed improvement in cognition as measured by MMSE, a reduction of symptoms of depression, as well as enhanced mood and quality of life. Although group CST is shown to be successful, individual cognitive stimulation therapy or iCST has even more effective outcomes. An emphasis on verbal communication accompanied by the opportunity to engage in meaningful conversations also improves language ability. Furthermore, CST recipients have reported greater willingness to engage in conversation, improvement in memory, and improvement in concentration and alertness. Finally, people reported it made them feel more positive, relaxed, and confident and that they wanted to continue with the sessions.